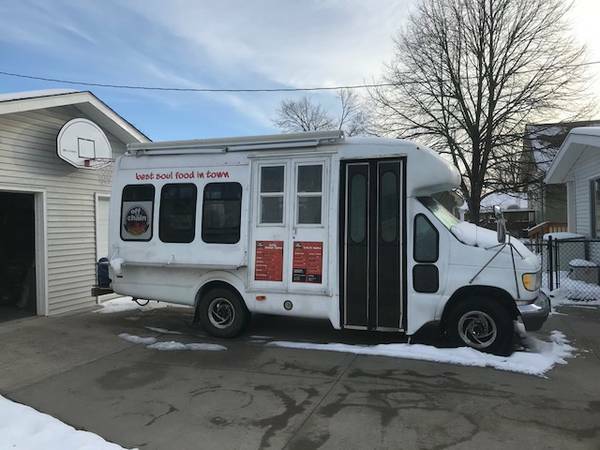 For Sale: 1995 Ford E-350 shuttle bus/food truck. Approximately 286k miles. It has a generator. (Gasoline) for electrical and can also be plugged into a 220 plug if power is provided. It has been previously used as a food truck and has an oven, hand washing sink, 3 compartment sink, fresh water tank, and gray water tank included. It also has propane for the water heater and oven. Asking $11,500. Available now, please call or text Nick at 515-681-212zero PLEASE NOTE: The phone number is written like this to avoid spam calls. PLEASE DO NOT RESPOND TO THIS AD VIA EMAIL BECAUSE EMAIL WILL NOT BE CHECKED.